Omron Electronics has announced a new series of electric servo systems, the G5 series, which the company describes as providing the industry’s fastest high speed communication interface. 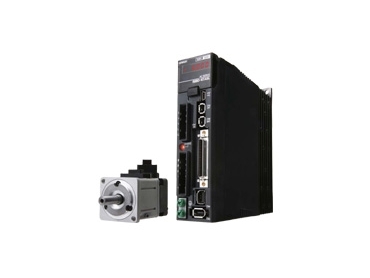 Three versions of these new servo systems are available, which can be supplied with either an EtherCAT or MECHATROLINK-II network interface, or an analogue/pulse interface. Drives and motors can be specified up to 5KW, with a wide range of motor types also possible. The servo frequency response of these systems is a substantial 2KHz, much higher than many other drives on the market. The combination of an advanced drive and motor design ensures these electric servo systems provide high performance in any application. In addition, auto-tuning routines are simple to use, and vibration suppression functions are included to ensure the motor movement is controlled, smooth and settles in the shortest possible time. Safety is assured when using G5 servo systems, as they also conform to ISO13849-1 (PL-d) and EN61508 (SIL2).